Our primary focus is to encourage and fund research to improve the surgical outcomes and quality of life for patients facing heart or lung surgery. The money raised funds research that directly improves the surgical techniques associated with heart and lung surgery. Improvements can include less intrusive procedures as well as techniques that improve survival rates. As a registered charity and a company limited by guarantee, The Baird Institute is required to meet a range of state and federal legal obligations which underpin this code of conduct. These obligations include corporations law, fundraising and charitable institutions legislation, privacy legislation, equal employment opportunity principles, occupational health and safety standards, anti discrimination legislation, intellectual property and copyright legislation and other codes of ethics. 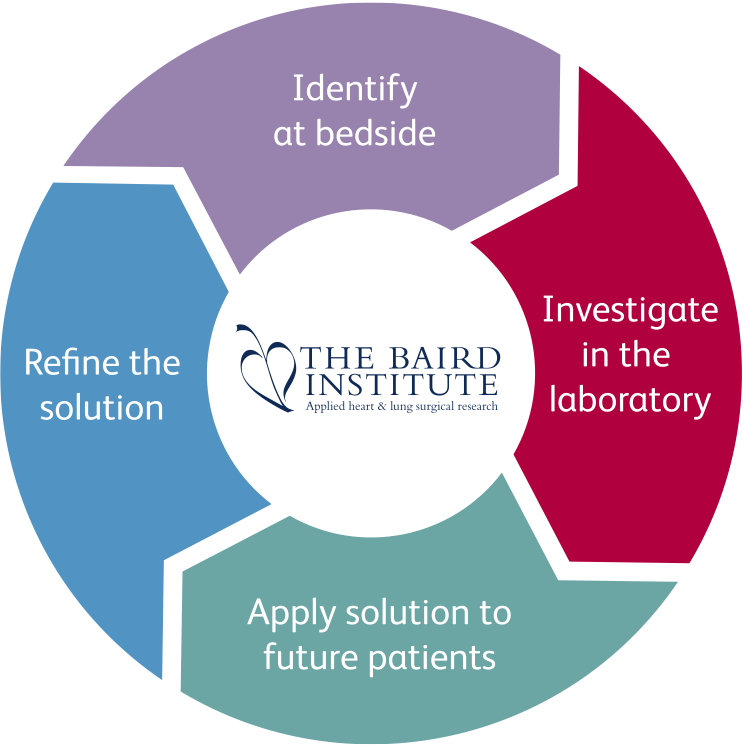 The Baird Institute’s mission is to foster research and apply science to improve the outcomes for patients facing heart or lung surgery.